Imagine visiting a museum where you could literally have all the information about every exhibit at the tip of your finger instead of having to read through small glass panels in overcrowded rooms. 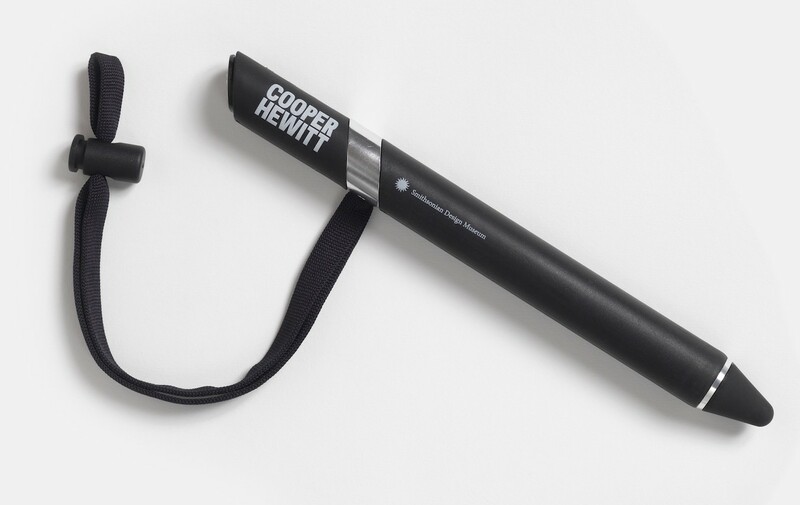 At the Cooper Hewitt Smithsonian Design Museum, this is now a reality thanks to The Pen, an innovative device that resembles a regular pen but is capable of storing information that the user will be able to view even after leaving the museum. The Cooper Hewitt is the only non-profit institution in the USA entirely dedicated to modern and contemporary design; after a three year renovation, it recently reopened on the 12th of December 2014 with exhibitions that include “Tools: Extending our Reach” and “Beautiful Users”. Situated in the luxurious Andrew Carnegie Mansion on 5th avenue and 91st street, this aristocratic old building is more up-to-date with technology than anyone might think. The idea of the pen originated from the New York based digital media firm Local Projects, the Architecture firm Diller Scofidio + Renfro, who also designed the Shop Cooper Hewitt and with the collaboration of the Digital and Emerging Technologies team of the Cooper Hewitt directed by Seb Chan. This is how it works: when visitors come to purchase their entry ticket, they are given their own personalized website, which is associated to their Pen, so that the information that they collect and save by drawing on the interactive computers and scanning everything on a code at the bottom of the computers during their visit can be later viewed from any internet connection. Throughout the Cooper Hewitt, there are several interactive computers where visitors can create their own designs, upload them, discover existing designs and everything can be saved on the Pen, which is given back when the visitor leaves the museum. All of the information collected is stored in the personalized website and can be retrieved anytime and anywhere as long as there is Internet. The Pen was officially launched on the 10th of March 2015 and the response has been largely positive. In a note written a week after the inauguration, Seb Chan, Director of Digital & Emerging Media at the Cooper Hewitt, reports that 2526 pens have been distributed, 64,675 objects in the galleries have been virtually collected, 2001 visitor-created designs have been saved and that 965 people have already logged back in to their tickets/websites afterwards (roughly 29% of the total number of entry tickets). Not bad for one week of business!